Albuquerque’s a great place to explore with a camera. The weather’s cooperative, mostly, with consistent lighting and low humidity. There’s a great balance of industry and nature, gaudy and dilapidated, geometric and organic. There aren’t many trees, so there are more opportunities for sweeping vistas, often punctuated by mountains or volcanoes. 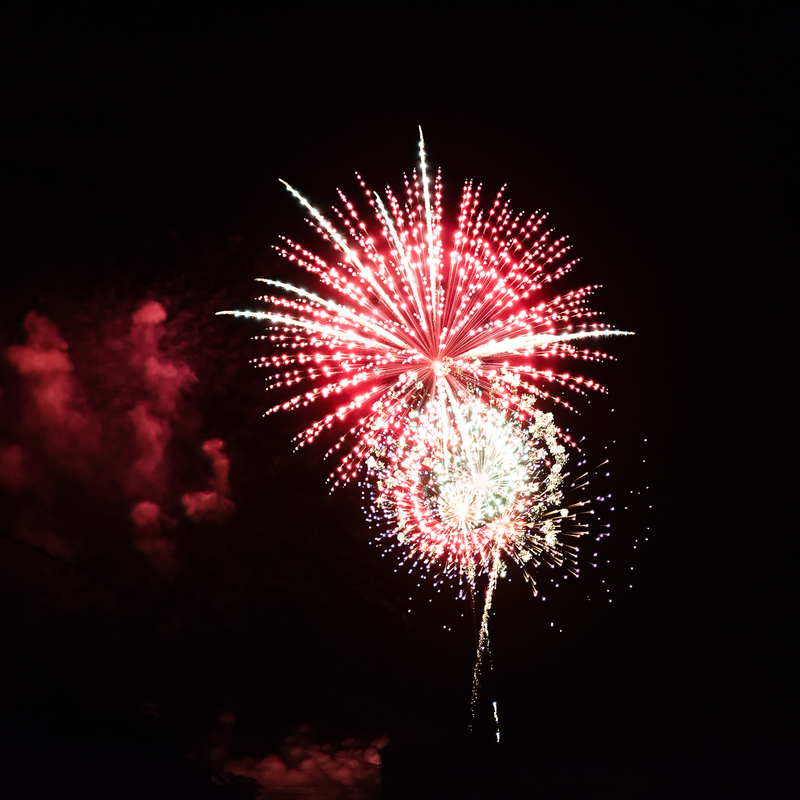 There’s even a great chance you’ll catch something awesome in the sky, be it a flyover from the air force base or a hot air balloon. 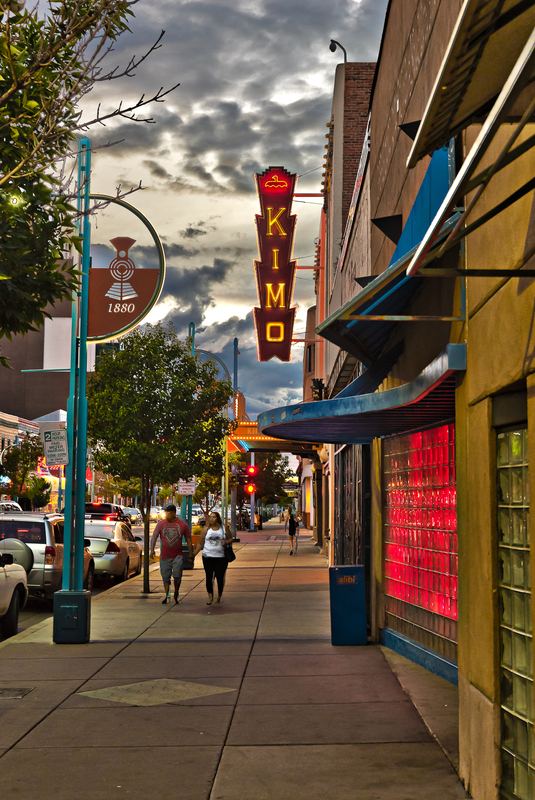 So this weekend I explored Albuquerque–not the surrounding area– on a photo tour. Playful editing on Route 66. A vintage car in from the Pueblo Deco style Kimo Theater. 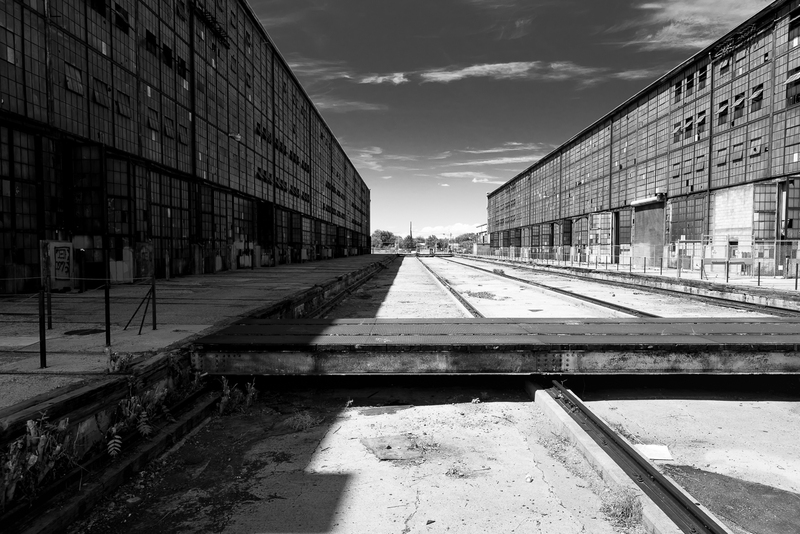 Abandoned buildings in the Albuquerque railyards, which once employed 40% of the city. Part of it now hosts a Sunday market. 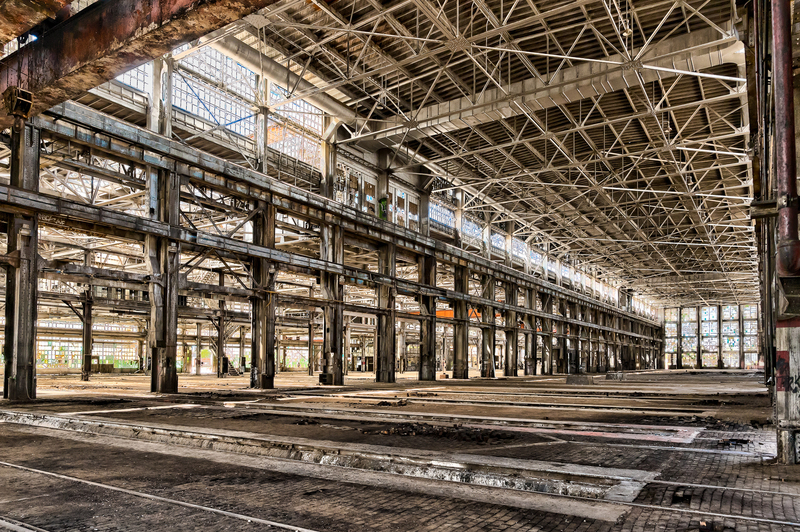 A look inside an abandoned building in the ABQ railyards. 5 exposures merged via HDR process. Cruising on Route 66 in downtown ABQ. 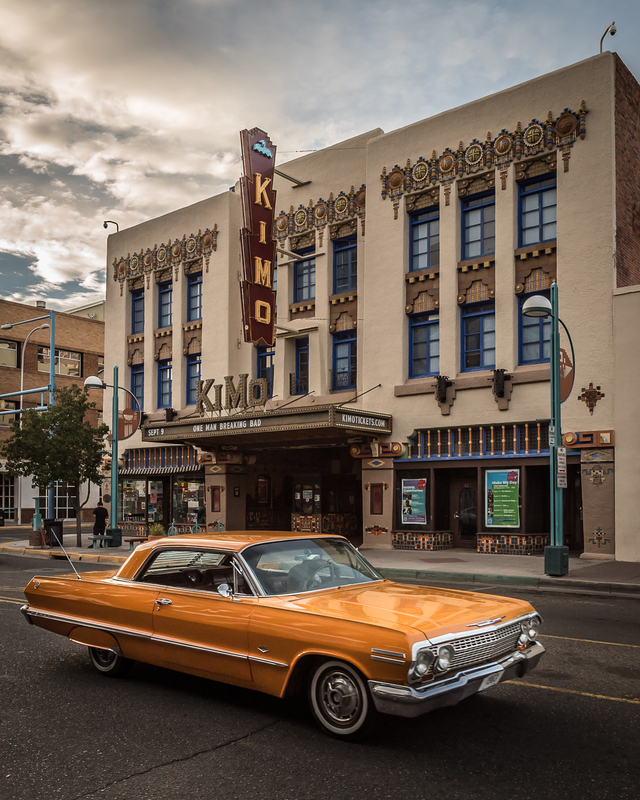 A vintage car in from the Pueblo Deco style Kimo Theater. The vintage car drivers are very cooperative and slow down a little when they see the lens. ABQ has a lot of great vintage cars. 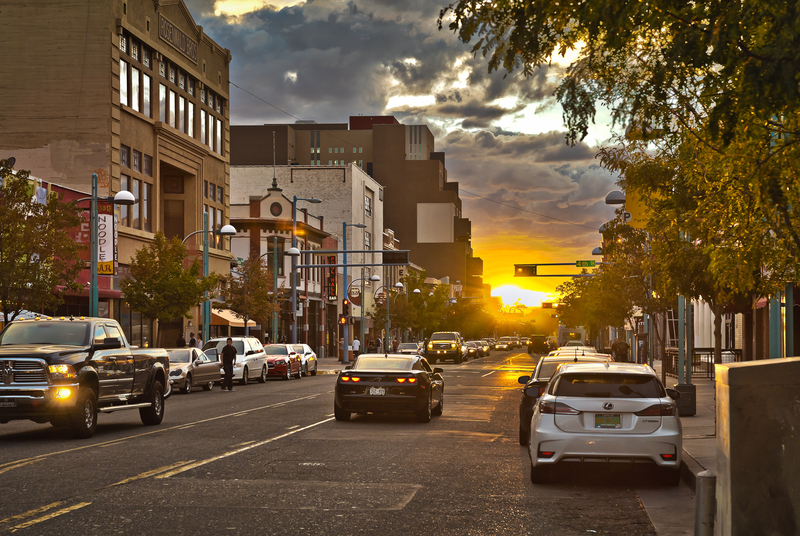 HDR sunset in downtown ABQ on Route 66. 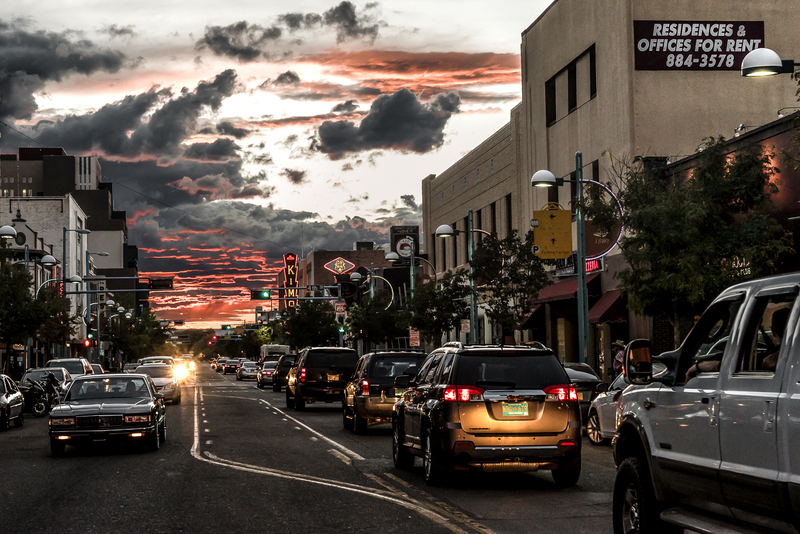 Cruising on Route 66 in downtown Albuquerque at sunset. 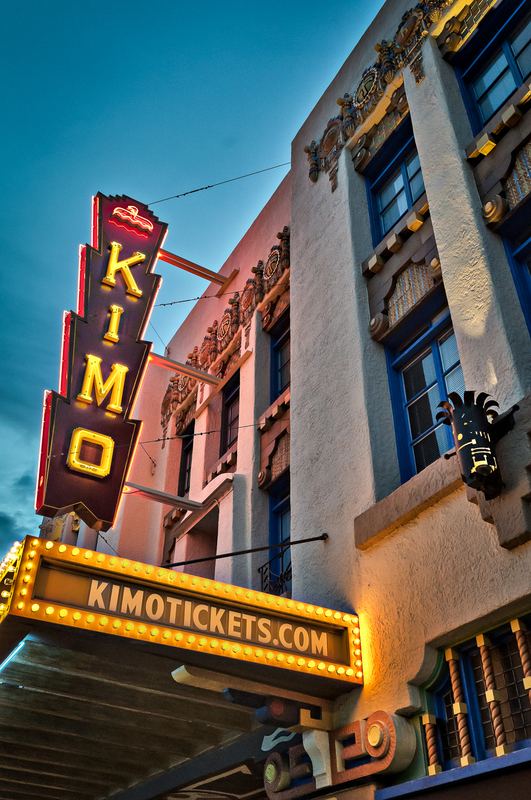 The Kimo Theater marquis and the neon lights emerging at sunset in downtown Albuquerque on Route 66. 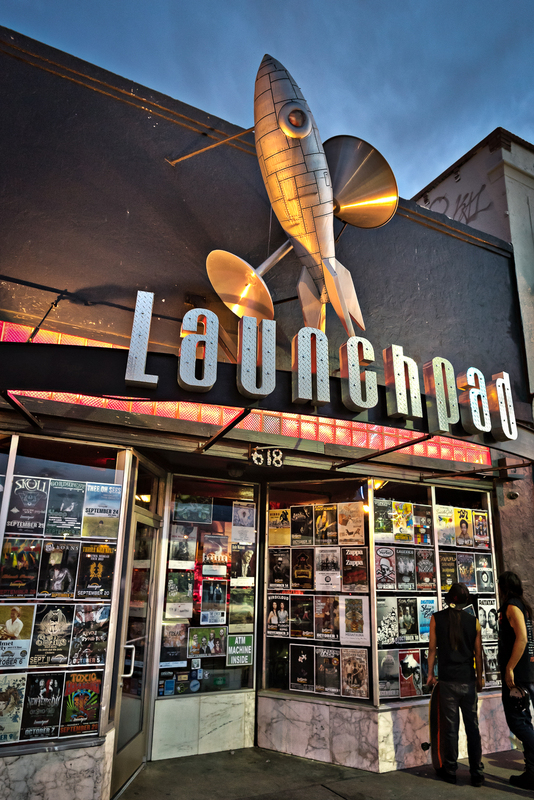 The Launchpad concert venue in downtown Albuquerque. 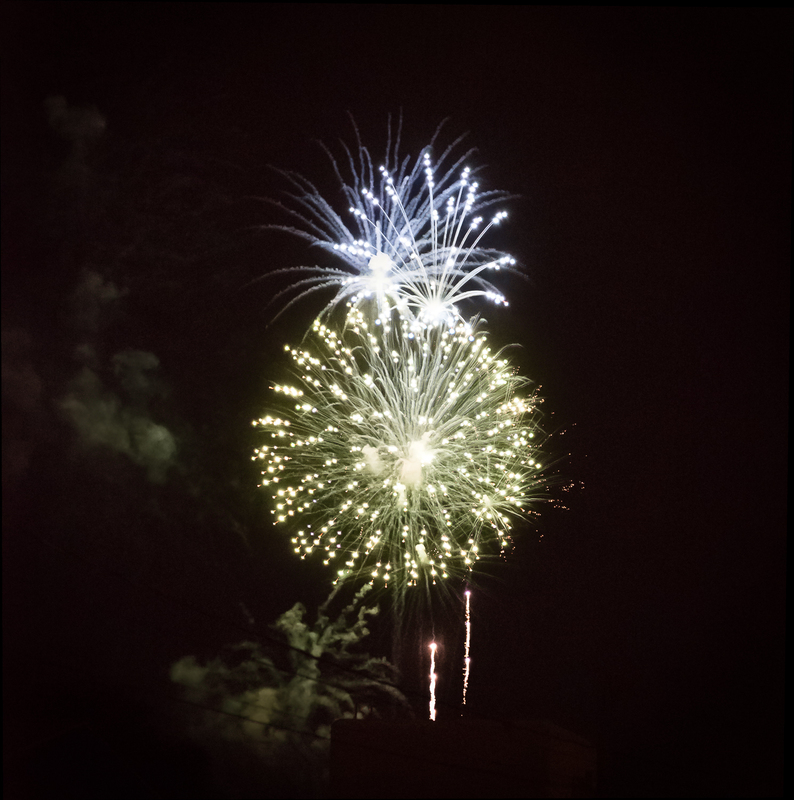 Labor Day fireworks. Photomerge of 8-ish images, because why not? 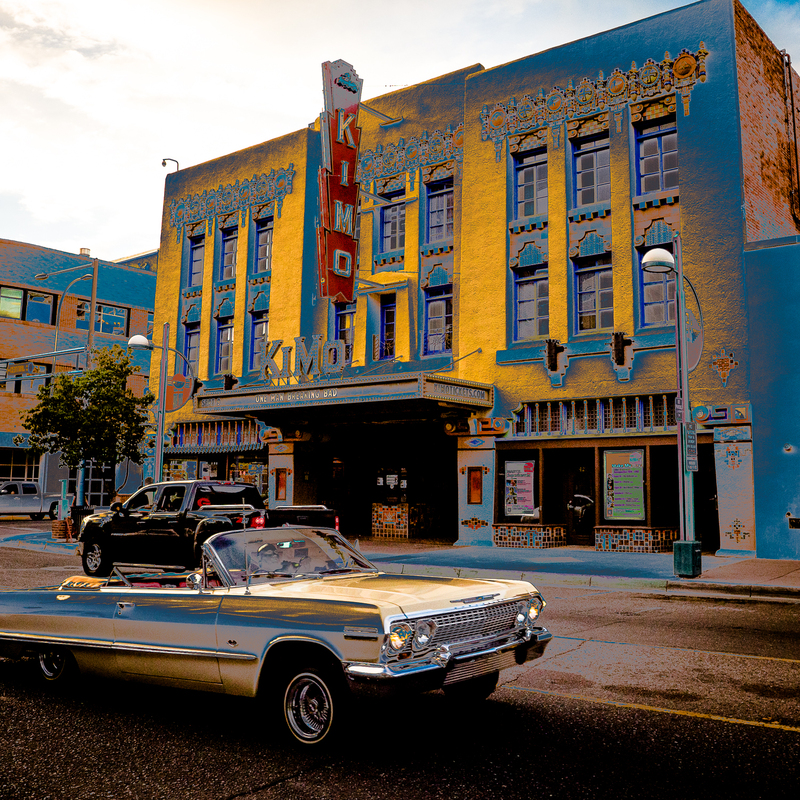 This entry was posted in Photography and tagged abq, albuquerque, cars, city, classic cars, downtown, downtown Albuquerque, fireworks, hdr, kimo, kimo theater, photo, photography, playful photography, pueblo deco, railyards, route 66, rt 66, southwest, sunset, vintage car, vintage cars on September 8, 2015 by Vironevaeh.